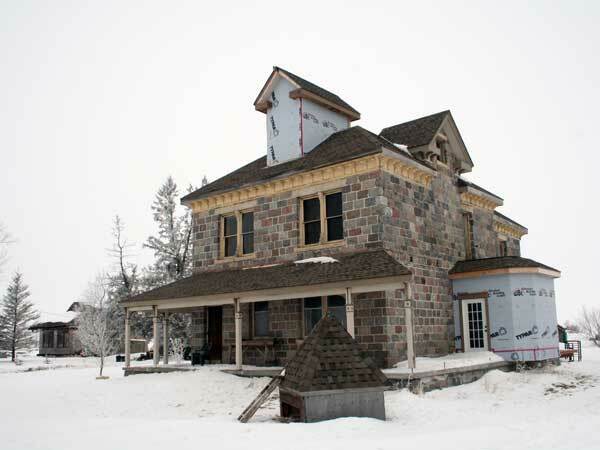 Designed by Brandon architect W. R. Marshall for Brandon-area farmer John W. Sandison, this impressive two-storey granite fieldstone residence in the Rural Municipality of Elton was carried out between 1892 and 1893 by the Brandon construction firm of William Bell and Sons. Described as “one of the grandest farm houses in Manitoba”, the structure featured a lookout tower, wrap-around verandah, and lavish oak panelling in its interior. 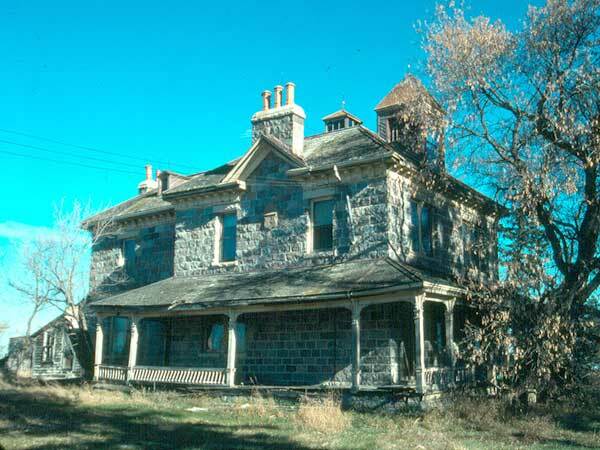 Sandison never occupied the house, as financial reversals caused him to disappear in May 1893, abandoning his family and extensive farm holdings around western Manitoba. The house and surrounding property were eventually purchased by Marie Devine, a wealthy Ontario farmer, and her husband. In 1902, the property was sold to Lonsdale Nelles. A later, long-term owner was Earl Bell, grandson of the building’s contractor. He resided in the house until his death in 1995. The building, now seriously deteriorated from lack of maintenance through the years, sat vacant for a few months. It has since undergone exterior and interior renovations. “The Sandison Farm,” The Nor-West Farmer and Miller, December 1890, page 688. “John Sandison House,” Manitoba Heritage Council Report, Manitoba Historic Resources Branch, March 1996.